A truly comprehensive security system does more than just provide "locks" for the entrances to a network, it searches for and reacts to threats that may have already entered the system. 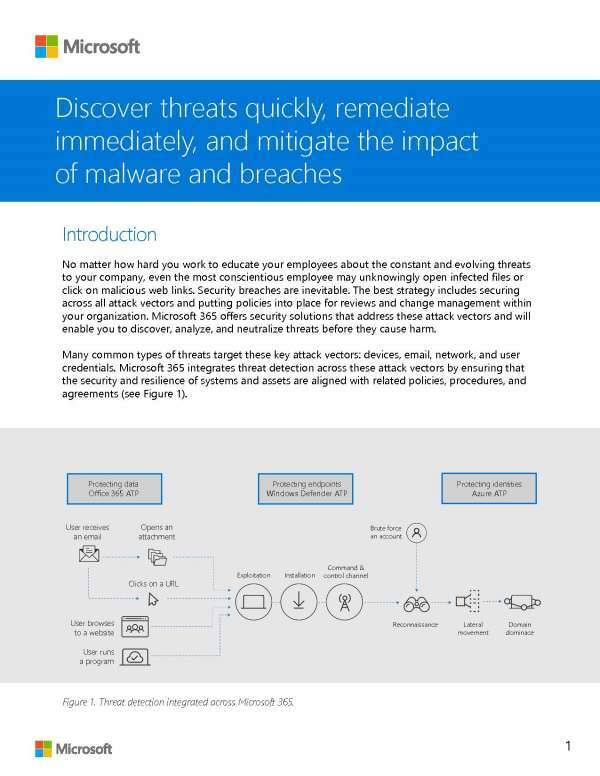 The Advanced Threat Protection integrated throughout Microsoft 365 monitors and protects everything from data, to endpoints, to user identities. These tools are always working behind the scenes to keep your business secure, keeping you in the loop without overwhelming you with information. At Breakpoint Technology, we believe in securing your business with a holistic strategy. Contact us to learn more.